One outcome of this research, the Case IH patented double-edge reel, sizes any remaining large clods and levels the soil more to eliminate lost yield potential. In the new Ecolo-Tiger 875, the double-edge reel has a hydraulic option, allowing producers to position the reel from the cab. This best-in-class option allows operators to float over wet spots in the field by raising the basket. It provides level output over varying soil types for improved seed beds and resists plugging in wet conditions. Other rear options include a mechanical-positioned double-edge reel; a 5-bar spike; harrow; and a 3-bar coil-tine harrow. Like its predecessor, the Ecolo-Tiger 875 efficiently sizes and mixes tough, heavy residue, while leveling the soil for a smooth seedbed. Case IH engineers equipped this new model with redesigned high density Tiger Points for improved durability while maintaining the lift, twist and roll action that is an Ecolo-Tiger and Tiger point hallmark. This action not only fractures compaction, but also works to relocate soil particles for superior soil tilth. In addition, Earth Metal® blades are now standard equipment on both gang and individual disk blade models. An aquant powder coat paint finish adds even more durability to the Ecolo-Tiger 875 with 400 percent more resistance to impact, scratching and paint fading vs. prior models. This paint finish is the result of Case IH’s expansion of its Goodfield, Ill., plant, which allowed for the addition of a multistage auto deposition primer dip paint system with a powder topcoat. Customers benefit from an even more rugged red paint finish that looks better rolling off the factory line, lasts throughout the life of the disk ripper and improves resale value. 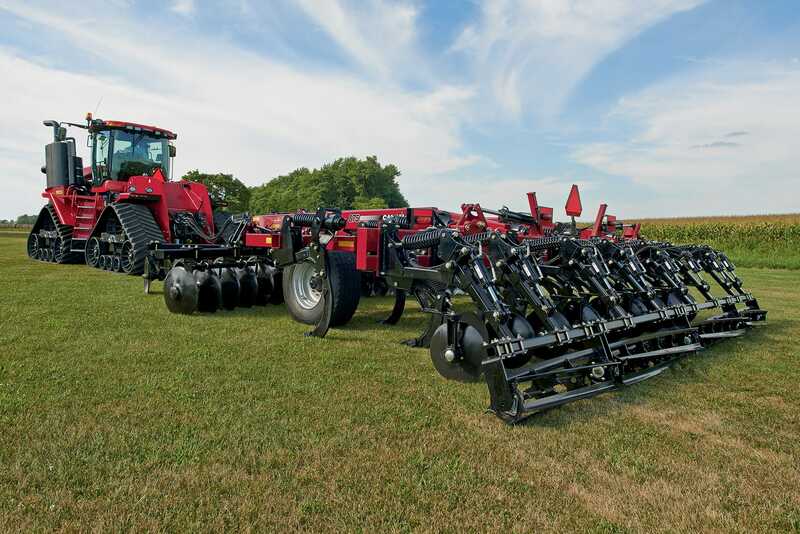 Case IH tillage equipment provides the agronomic seedbed needed to help your crops thrive from planting to harvest. Learn more on the Case IH blog. ​Configure and price your new Disk Ripper. Customize it the way you want. ​Compare our disk ripper specs to other manufacturers' specs. ​Learn about the Disk Rippers Series.